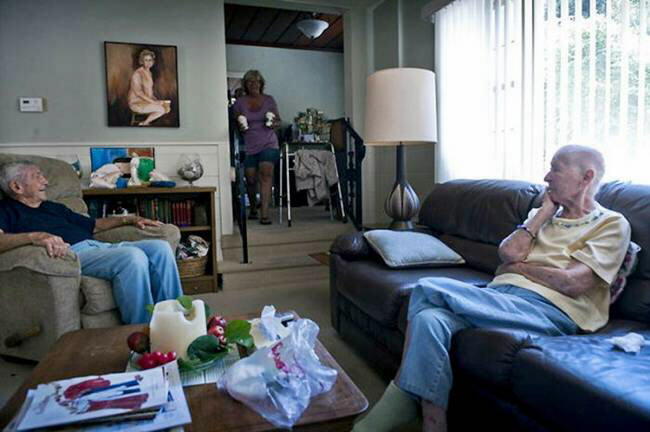 Amazing story of a 90-year-old Gina Bonty and his 89-year-old wife, Bobby. 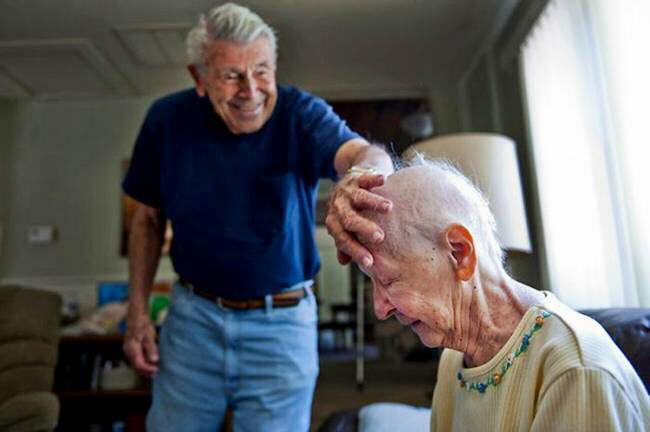 Jean Bonty soothes his wife Bobbi, his hand on her head bald from chemotherapy. 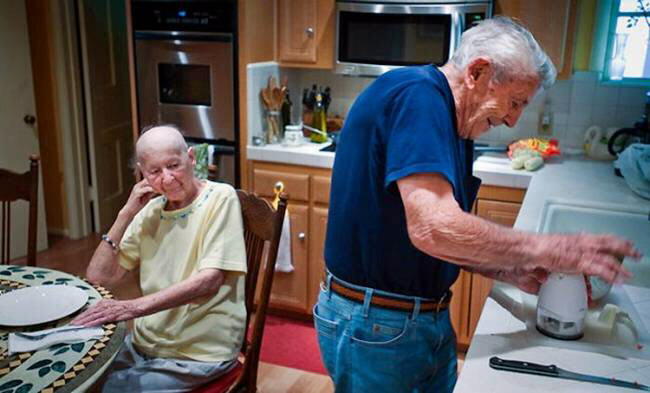 Jean 90 years, and he cares for her 89-year-old Bobby - cooking, cleans, goes shopping and sees that she was fed properly and regularly. 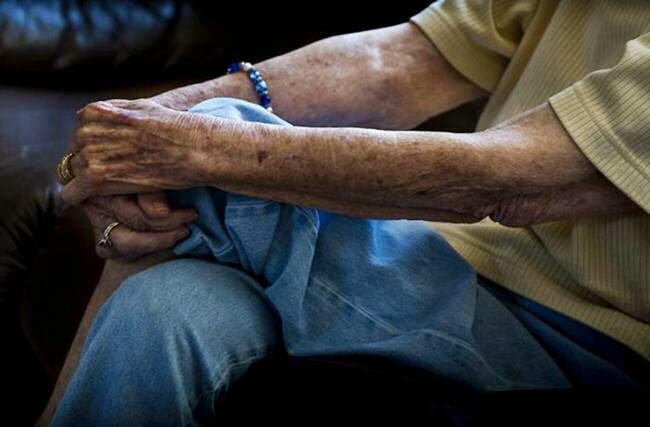 Since then, Bobby made the diagnosis of ovarian cancer, she began to do chemotherapy, she lost most of hair, but the most terrible thing is that she had a neuropathy in her left hand and feet, so now she can not walk. that they could spend the rest of days happily without feeling the smell hospitals. Sherry Jennings carries food from the restaurant fast-food «Starbucks Frappacino» her parents Jean and Bobby Bonty. 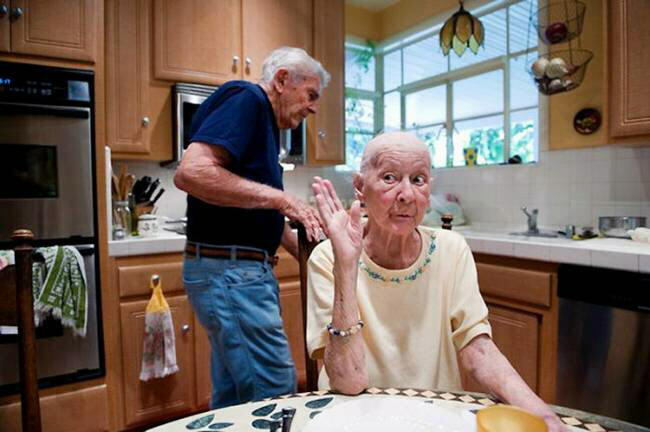 Jean Bonty helps his wife, Bobby up in the bedroom. 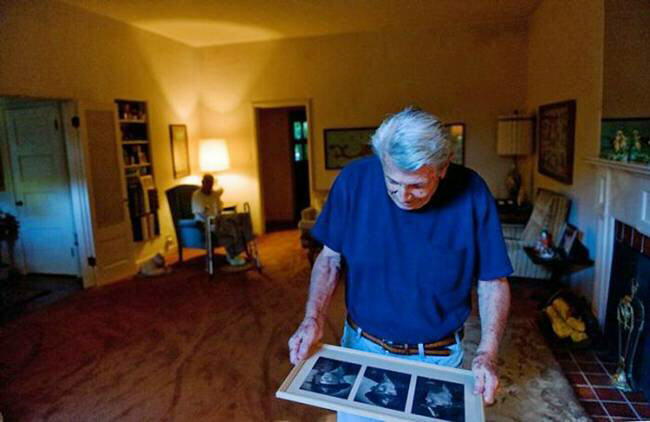 Jean Bonty shows a photo that he and his wife made during a sea cruise. 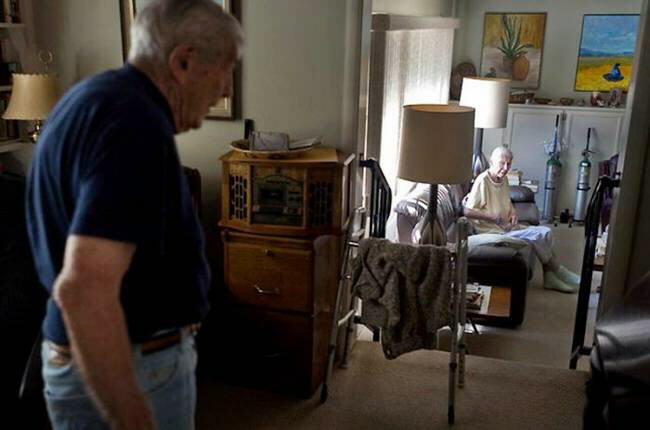 Jean Bonty checks his wife, resting in the bedroom. 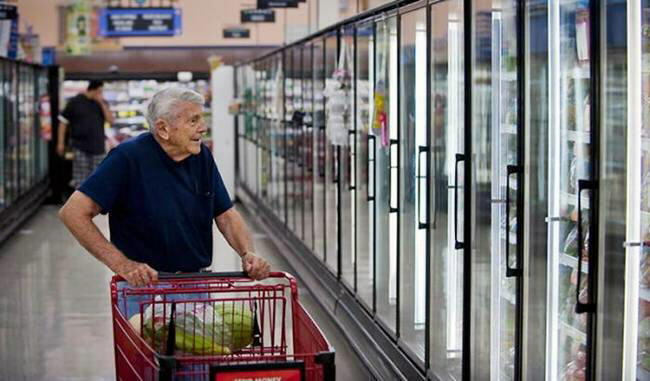 Jean makes a purchase at the dinner for himself and his wife. 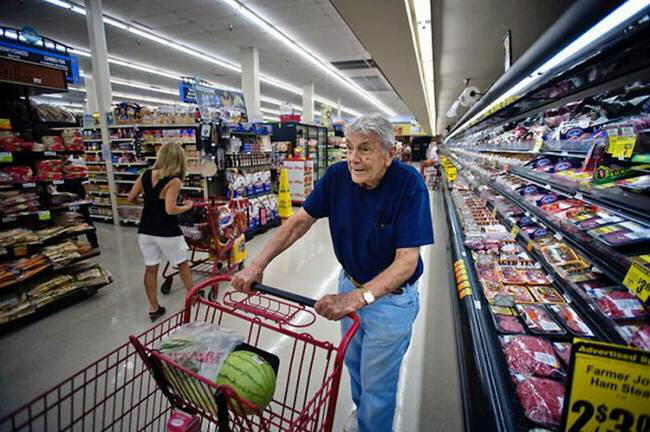 Jean Bonty makes shopping for dinner at the supermarket «Sav Mart» several blocks from their home. 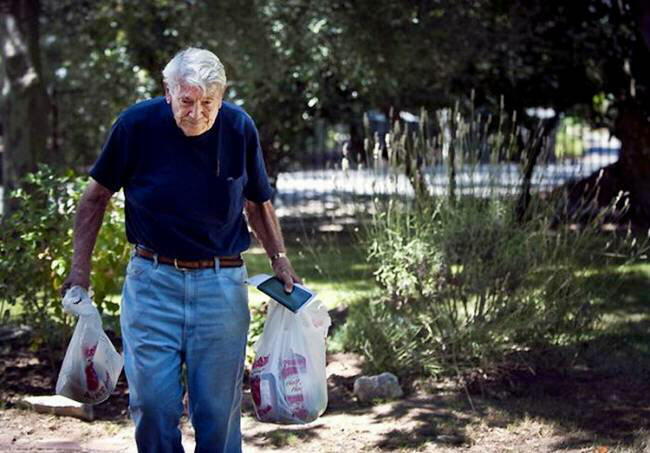 Jean Bonty carries food home for dinner. 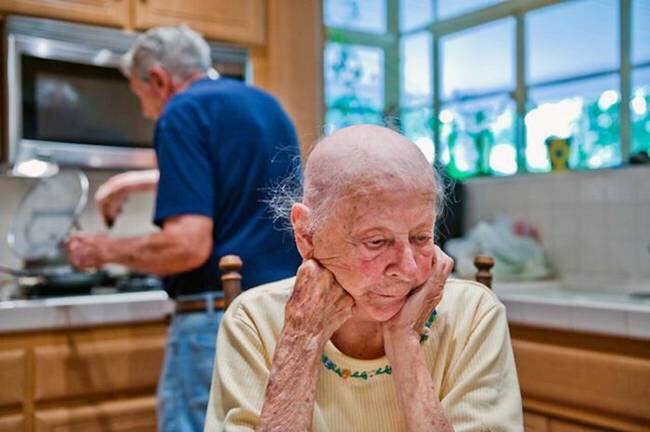 Jean puts food for dinner in the refrigerator, the door is glued pictures of their grandchildren. Bobby Bonty 89 years. She had ovarian cancer. It is undergoing chemotherapy, so she had almost no hair. Moreover, it has serious neuropathy in his left hand and feet, so that she can not walk. 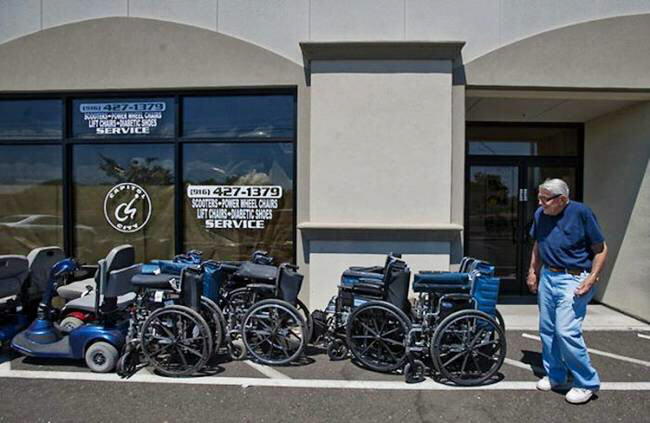 Jean picks moped for his wife Bobbie in a special store for the disabled in Sacramento. Bobby uses a wheelchair, but Jean hopes to buy for her moped when she recovered to make purchases or go to their cottage in Lake Tahoe. Bobby Bonty looks like her husband as he preparing for her dinner. That evening they had supper sandwiches, potatoes and corn. Bobby jeering at her husband, preparing for her food. Bonnie thought, while her husband prepares dinner. 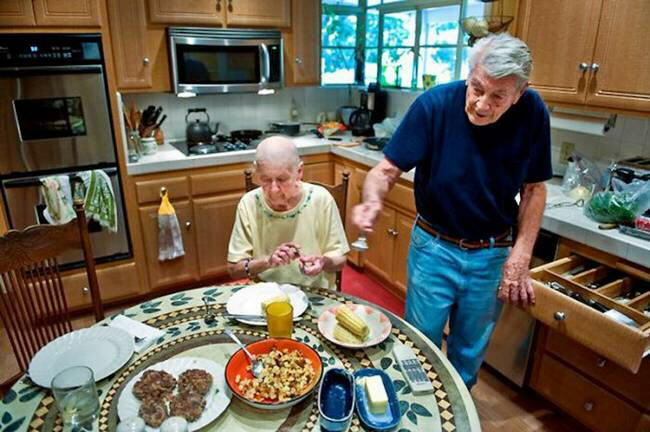 Bobby ready to eat dinner, which she prepared for her husband, Gene. Doctors advised to Bobby separate meals. 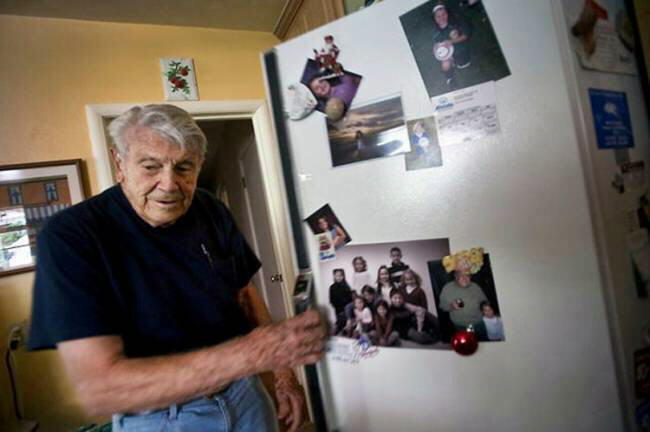 Jean Bonty looks at his pictures when he was a bomber pilot during the Second World War, while his wife, Bobbie is sitting in an armchair in their living room. 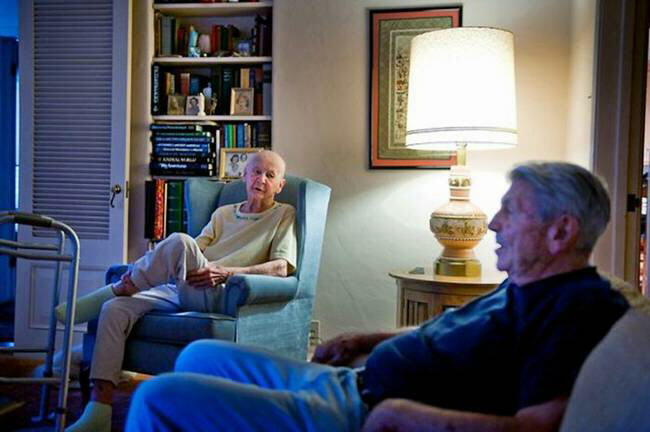 Jean and Bobby remembers the party, which they held in their former living room. 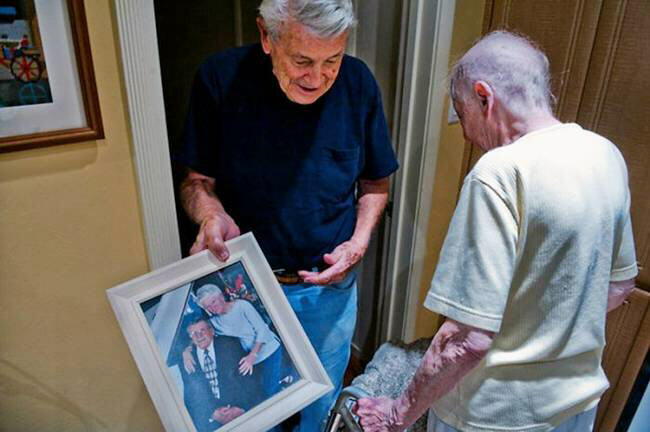 They have been married for 68 years, and all their life together were spent in this house. Young Jean and Bonnie. 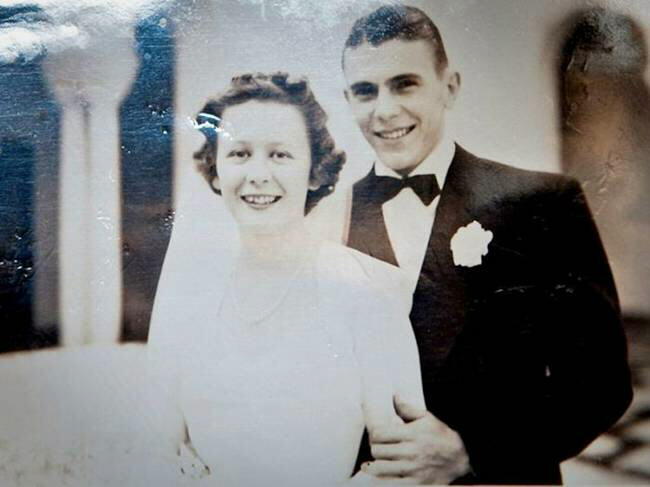 They have been married for 68 years, and now 90-year-old Jean's care for his 89-year-old wife, who was diagnosed with ovarian cancer.